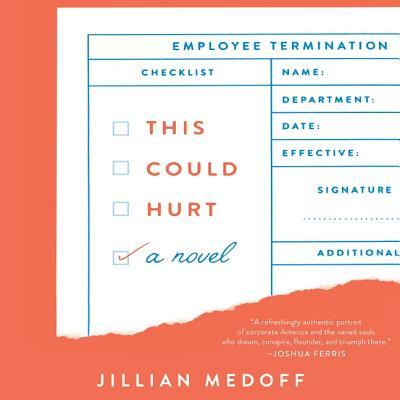 A funny and deeply felt novel that illuminates the pivotal role of work in our lives--a riveting fusion of The Nest, Up in the Air, and Then We Came to the End that captures the emotional complexities of five HR colleagues trying to balance ambition, hope, and fear as their small company is buffeted by economic forces that threaten to upend them. While Rosa is consumed with trying to address the needs of her staff within the ever-constricting limits of the company's bottom line, her associate director, Rob Hirsch, a middle-aged, happily married father of two, finds himself drawing closer to his work wife, Lucy Bender, an enterprising single woman searching for something--a romance, a promotion--to fill the vacuum in her personal life. For Kenny Verville, a senior manager with an MBA, Ellery is a temporary stepping-stone to bigger and better places--that is, if his high-powered wife has her way.